Lycamobile’s SIM only deal offers a single pack of minutes, texts and mobile data with a validity of a month. The SIM only deal does not include any handset. There are two types of SIM only deals: Pay monthly plan and Pay as you Go. What is a Pay As You Go SIM? In Pay as you go SIM deal, you can simply buy a SIM card and add credit limit to start making calls, sending texts and browsing the internet. You do not need to buy any bundles or get tied to any contracts.This kind of plan gives you flexibility. Why should you opt for a SIM only deal? 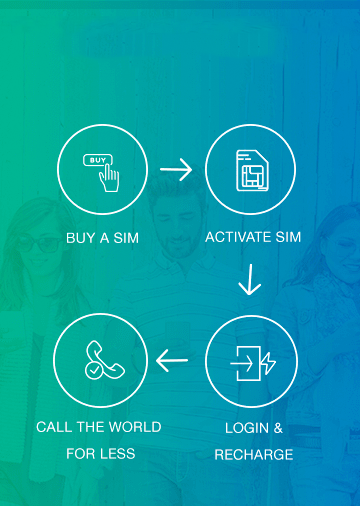 Are all Lycamobile SIM only & Pay Monthly Plans 4G enabled? Yes. 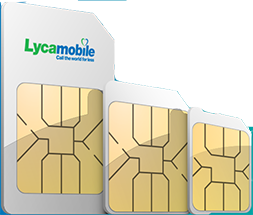 All Lycamobile SIM only & Pay monthly plans are 4G enabled. 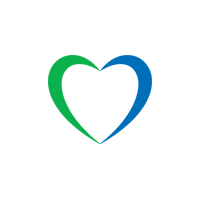 Lycamobile UK Plan (“the offer”) inclusive allowances are for calls and texts from the UK to standard UK landline (starting 01,02 or 03) and other UK mobile numbers, and for mobile internet usage in the UK. Other usage will be charged at standard rates. Allowances are valid for 30 days from the date of purchase. 4G availability is subject to handset model and location. Calls are rounded up to the nearest minute for the purpose of calculating remaining allowances. A customer may purchase a second bundle only if it is priced higher than the current active bundle. Any remaining allowance after 30 days will not be carried over into the next 30 day period should the customer repurchase their bundle. In bundle data usage is rounded up and charged in 20KB increments. Once the data allowance of a bundle has been fully used, additional data usage will be charged at standard rate. Lycamobile reserves the right to replace or amend the offer or these terms & conditions or to withdraw the offer at any time with reasonable notice. Note that promotional credit (credit which Lycamobile has given to customers for free) cannot be used towards purchasing a bundle. The offer is for non-commercial, private, personal use only – Lycamobile reserves the right to withdraw or suspend the offer or to disconnect you if we suspect that offer is being used for commercial purposes, for conferencing, or if it is not being used in a handset (in a SIM box for example), if it is being used for tethering or if any reason Lycamobile reasonably suspects that you are not acting in accordance with this policy where we consider that the usage was illegitimate. Promotional period: The offer is valid from 05/02/2019. Your bundle is subject to Auto-renewal and if you opt-in will automatically renew once it expires. We will remind you before it is due to be renewed, giving you the option to cancel. The renewal charges will be deducted from your main balance or through your payment card, depending on the initial activation method. To cancel Auto-renewal, dial *190# and follow the instructions. Please note that any auto- renewal cancellation request made on or after the expiry date will not be accepted. Lycamobile UK Talk & Text (‘the offer’) inclusive allowances are for calls and texts from the UK to standard UK landline (starting 01,02 or 03) and other UK mobile numbers. Other usage including mobile Internet will be charged at standard rates. Allowances are valid for 30 days from the date of purchase. Calls are rounded up to the nearest minute for the purpose of calculating remaining allowances. A customer may have only one offer on their account and may not buy another during the 30 day validity period. Any remaining allowance after 30 days will not be carried over into the next 30 day period should the customer repurchase their bundle. Lycamobile reserves the right to replace or amend the offer or these Terms & Conditions or to withdraw the offer at any time on reasonable notice. Note that promotional credit (credit which Lycamobile has given to customers for free) cannot be used towards purchasing a bundle. The offer is for non-commercial, private, personal use only – Lycamobile reserves the right to withdraw or suspend the offer or to disconnect you if we suspect that offer is being used for commercial purposes, for conferencing, or if it is not being used in a handset (in a SIM box for example). Promotional period: The offer is valid from 03.11.2014. For our EU Countries roaming terms and conditions, please click here. If the use of any bundle or plan that includes ‘unlimited’ calls or texts provided as part of the service exceeds the amount reasonably expected of a person using the service for personal purposes. Mass distribution of Lycamobile services to a large number of people. E.g. unauthorised SMS campaigns. Re-distribution of Lycamobile services without our formal consent to make income. If your excessive or unreasonable usage continues, Lycamobile may, without further warning, suspend or limit your service or even terminate your agreement in accordance with our general terms and conditions. If you have any queries about our fair use policy, please feel free to contact us. Lycamobile Philippines M & L plans (‘the offer’) inclusive allowances are for calls from the UK to Smart, Sun and PLDT numbers in Philippines. Plan wise calls are applicable to first dial 10 & 20 numbers for 30 days, other usage will be charged at standard rates. The offer is valid for 30 days from the date of purchase. A customer can have maximum three plans on their account during the 30 day validity period. The bundle is subject to Auto-renew after 30 days.Lycamobile reserves the right to replace or amend the offer, these terms and conditions or to withdraw the offer at any time on reasonable notice. Note that promotional credit (credit which Lycamobile has given to customers for free) cannot be used towards purchasing a bundle. The offer is for non-commercial, private, personal use only – Lycamobile reserves the right to withdraw or suspend the offer or to disconnect you if we suspect that the offer is being used for commercial purposes, for conferencing, if it is not being used in a handset (in a SIM box for example), Your bundle is subject to Auto-renewal and if you opt-in will automatically renew once it expires. We will remind you before it is due to be renewed, giving you the option to cancel. The renewal charges will be deducted from your main balance or through your payment card, depending on the initial activation method. To cancel Auto-renewal, dial *190# and follow the instructions. Please note that any auto- renewal cancellation request made on or after the expiry date will not be accepted. Promotional period: the offer is valid from 29/08/2018. Lycamobile Great Eastern bundle (‘the offer’) inclusive allowances are for calls from the UK to mobile numbers in Poland, Romania and Bulgaria only. Other usage will be charged at standard rates. Calls are rounded up to the nearest minute for the purpose of calculating remaining allowances. Bundles are valid for 30 days from the day of purchase. Terms & Conditions for Talk & Text A customer may have only one offer on their account and may not buy another during the validity period. Any remaining allowance after the validity period will not be carried over into the next period should the customer repurchase their offer. Lycamobile reserves the right to replace or amend the offer or these Terms & Conditions or to withdraw the offer at any time on reasonable notice. Note that promotional credit (credit which Lycamobile has given to customers for free) cannot be used towards purchasing a bundle. Lycamobile Far East Plus (the offer) allowances are for calls from the UK to standard UK landlines (starting 01, 02 or 03), other UK mobile numbers, standard international landlines and mobile numbers for selected countries (China, Hong Kong, Malaysia, Singapore and Thailand), unlimited UK texts, unlimited Lycamobile to Lycamobile UK calls and texts and for data usage in the UK. Other usage will be charged at standard rates. Allowances are valid for 30 days from the date of purchase. Calls are rounded up to the nearest minute for the purpose of calculating remaining allowances. A customer may only have one offer on their account and may not buy another during the 30 day validity period. Any remaining allowance after 30 days will not be carried over into the next 30 day period should the customer renew their bundle (subject to Auto-renew). Lycamobile reserves the right to replace or amend the offer, these terms and conditions or to withdraw the offer at any time on reasonable notice. The offer is for non-commercial, private, personal use only – Lycamobile reserves the right to withdraw or suspend the offer or to disconnect you if we suspect that the offer is being used for commercial purposes, for conferencing, or if it is being used for tethering. The offer is valid from 01/09/2015. Lycamobile All in One Bundle (‘the offer’) allowances are for calls and texts from the UK to standard UK landlines (starting 01, 02 or 03), other UK mobile numbers, standard international landline and mobile numbers and for data usage in the UK. Other usage will be charged at standard rates. Allowances are valid for 30 days from the date of purchase. Calls are rounded up to the nearest minute for the purpose of calculating remaining allowances. A customer may only have one offer on their account and may not buy another during the 30 day validity period. Any remaining allowance after 30 days will not be carried over into the next 30 day period should the customer renew their bundle. Lycamobile reserves the right to replace or amend the offer, these terms and conditions or to withdraw the offer at any time on reasonable notice. The offer is for non-commercial, private, personal use only – Lycamobile reserves the right to withdraw or suspend the offer or to disconnect you if we suspect that the offer is being used for commercial purposes, for conferencing, if it is not being used in a handset (in a SIM box for example), or if it is being used for tethering.Promotional period: the offer is valid from 02/08/2018. * Calls to Estonia Top Connect Mobile have not been included in the All In one bundles. Standard pay as you go rates applies. * Following Estonia and Slovenia prefixes have not been included in the Global Plus bundles. And standard pay as you rates applies. Note: In bundle, data usage is rounded up and charged in 20KB increments. Once the data allowance of a bundle has been fully used, additional data usage will be charged at standard rate. Allowances will be deducted from the first plan purchased, if you have purchased more than one plan type with 30 days expiry. Refer to your My Lycamobile account for detailed information on your balance. All Lycamobile products, such as plans, are for personal non-commercial use only (see the relevant terms and conditions applicable for each product along with each product listed). Personal use means reasonable use of our communication services, such as voice calls, SMS & data, to fulfil individual needs. Any other usage is prohibited. Airtime allowances, which Lycamobile gives for free in the form of free calls, free SMS, free data, free credit or any other relevant means. Services, where there is a fixed charge for the allotted usage of allowances such as bundles, plans, and add-ons for a defined period of time. Your usage on a promotion is unreasonable. Your use of data services is non-consistent with other users, which would in turn affect the quality of service experience for the majority of customers. Your usage of our services is for illegal activities. Lycamobile Nigeria plan (‘the offer’) inclusive allowances are for calls from the UK to standard international landline and mobile numbers only. Other usage will be charged at standard rates. Calls are rounded up to the nearest minute for the purpose of calculating remaining allowances. The offer is valid for 30 days from the date of purchase. A customer may have up to 3 offers on their account. Lycamobile reserves the right to replace or amend the offer, these terms and conditions or to withdraw the offer at any time on reasonable notice. Note that promotional credit (credit which Lycamobile has given to customers for free) cannot be used towards purchasing a bundle. The offer is for non-commercial, private, personal use only – Lycamobile reserves the right to withdraw or suspend the offer or to disconnect you if we suspect that the offer is being used for commercial purposes, for conferencing, if it is not being used in a handset (in a SIM box for example), or if it is being used for tethering. Promotional period: the offer is valid from 04/01/2016. Lycamobile China Plus (‘the offer’) allowances are for calls from the UK to standard UK landlines (starting 01, 02 or 03), other UK mobile numbers, standard China landline and mobile numbers, unlimited UK texts, unlimited Lycamobile to Lycamobile UK calls and texts and for data usage in the UK. Other usages will be charged at standard rates. Lycamobile Pakistan plan (‘the offer’) inclusive allowances are for calls from the UK to standard Pakistan landline and mobile numbers. Other usage will be charged at standard rates. The offer is valid for 30 days from the date of purchase. A customer may only have one plan on their account and may not buy another from the same bundle during the 30 day validity period. The bundle is subject to Auto-renew after 30 days. Lycamobile reserves the right to replace or amend the offer, these terms and conditions or to withdraw the offer at any time on reasonable notice. Note that promotional credit (credit which Lycamobile has given to customers for free) cannot be used towards purchasing a bundle. The offer is for non-commercial, private, personal use only – Lycamobile reserves the right to withdraw or suspend the offer or to disconnect you if we suspect that the offer is being used for commercial purposes, for conferencing, if it is not being used in a handset (in a SIM box for example), or if it is being used for tethering. Only customers with UK Plans 10 or higher are eligible to buy this new plan. Promotional period: the offer is valid from 26/09/2015. If the use of any bundle or plan that includes ‘unlimited’ calls or texts provided as part of the service exceeds the amount reasonably expected of a person using the service for personal purposes. Fair Use Policy All Lycamobile products, such as plans, are for personal non-commercial use only (see the relevant terms and conditions applicable for each product along with each product listed). Personal use means reasonable use of our communication services, such as voice calls, SMS & data, to fulfil individual needs. Any other usage is prohibited. The policy applies to: 1. Airtime allowances, which Lycamobile gives for free in the form of free calls, free SMS, free data, free credit or any other relevant means. 2. Services, where there is a fixed charge for the allotted usage of allowances such as bundles, plans, and add-ons for a defined period of time. From 20/11/2017, any customers who buy one of our UK Students Plans may be able to use their bundle allowances while roaming in the EU/EEA countries. Customers are advised that there is a maximum usage capping is applied for data while roaming in EU/EEA from the Data Lovers of 6.5GB data, CHATTERBOX of 5.5GB data, DATA SAVER of 4GB data, VALUE SAVER of 2GB data and STUDENT PASS of 2GB data. If, over a 4-month period, your use of EU roaming services is greater than your domestic usage we will notify you of this and then charge you at national PAYG rates. Non-EU countries calls will be charged at standard roaming charges. EU/EEA roaming services are enabled for customers who travel for holidays or short trips and note that the SIM card must be first used (activated) in the home country in order to take advantage of this promotion. Special Rates Calls to short numbers and premium services are not included in the bundle. Check the rates for calls to these numbers on www.lycamobile.co.uk/en/national-rates. Delivery & Postage: New SIM purchased may take up to 5 working days to deliver. We will send your SIM card via post, free of postage charge. Delivery address must be the same as the Billing address – i.e. the address your credit/debit card is registered to. 1. Calls to standard UK landlines (numbers starting 01,02,03 only); 2. Calls to standard UK mobile numbers; 3. Text message to standard UK mobile numbers; 4. Mobile data usage in UK. 1. Calls to premium, non- geographic UK & international numbers; 2. International Standard Roaming;(Except EU/EEA roaming) and 3. International Text message. There is no upfront fees apply for the SIM only deals. You will only be charged for the tariff you have chosen at the beginning of each billing cycle. You may need to top up or make a payment using a debit/credit card in order to make calls, text & data usage out of your plan inclusive allowance, Premium & non- geographic number calls, calls & text message to international numbers or Standard International Roaming. Your tariff plan charge will be deducted at the beginning of each billing cycle. Recurring monthly bill Payment will be taken from the debit/credit card used to make the first payment. Payments for the other usage can be made using Debit/Credit card. The name and the address of the card holder should be same as the registered account holder. If you change your name, address telephone number or payment details or there are any other changes to your bank account which may affect your payment of the charges you must let us know. In the event that payment cannot be taken on the due date, further attempts will be made from the same payment details, until it is taken. Each billing period comprises of a 30 days billing cycle. If you are an existing customer your billing will start from the day of purchase of a plan. For new customers the billing cycle of 30 days will begin from the day of SIM activation. The price shown requires you to use e-billing. For monthly price with paper bill add £1.00. We will not provide any refund for any plans purchased UNLESS no service has been used. If you change your mind within 14 days of purchase of a plan & allowance not used, you may request a refund OR could change it to a different plan by calling our customer service. If you decide not to continue with your chosen plan, you need to give us a notice by calling our customer service 30 days before expiry of that plan. Calls to short numbers and premium services are not included in the bundle. Check the rates for calls to these numbers on www.lycamobile.co.uk/en/national-rates. Please note that data usage is rounded up and charged in 20KB increments. Once the data allowance of a bundle has been fully used, additional data usage will be charged at standard rate. 1. Airtime allowances, which Lycamobile gives for free in the form of free calls, free SMS, free data, free credit or any other relevant means. 2. Services, where there is a fixed charge for the allotted usage of allowances such as bundles, plans, and add-ons for a defined period of time. 1. Your usage on a promotion is unreasonable 2. Your use of data services is non-consistent with other users, which would in turn affect the quality of service experience for the majority of customers. 3. Your usage of our services is for illegal activities. 1. Mass distribution of Lycamobile services to a large number of people. E.g. unauthorised SMS campaigns. 2. Re-distribution of Lycamobile services without our formal consent to make income. You can have 2 or more products (e.g. 2 bundles or a bundle and PAYG credit) active on your account at any time. If you have 2 active bundles, usage is automatically deducted from the bundle which expires first. If you have a bundle and PAYG credit, usage is deducted from the bundle allowance first. If you use your whole allowance of one service (e.g. data) from your first bundle, then you will automatically start to use the second bundle (or PAYG) for data services. You will still use your first bundle for remaining allowances of other services (e.g. calls or SMS). When you are roaming in the EEA, usage will be deducted from any allowance- e.g an EEA roaming bundle or PAYG. If you have a non-roaming bundle this is inactive whilst you are abroad in the EEA. You can resume use of it once you return home (until the validity period expires or all allowances in the bundle are fully used). Lycamobile data value pack are offered in £5 ,£7.50, £10, £12 and £25 plans. Data value packs are valid for 30 days from the date of purchase of the pack. Any unused data will expire after 30 days from the date of purchase. In bundle data usage is rounded up and charged in 20KB increments. Once the data allowance of a bundle has been fully used, additional data usage will be charged at standard rate. This promotion is valid from 01/11/2013. This offer may be withdrawn at any time in full or in part at the absolute discretion of Lycamobile UK Ltd. Usage beyond the Up/Download limit is free for browsing Social networks ( Eg: Facebook), standard web pages & viewing emails, but 9p/MB for music and video streaming, upload & downloads and file sharing. It applicable for primary bundle which include the data bundle allowance on Lycamobile only. Lycamobile Data bolt-Ons will expire when your current primary plan expires. The customer may purchase the bundles from their existing account balance. Promotional call credit cannot be used to buy bolt-Ons. You can add up to four bolt-Ons to your existing plan (Plan with data only) with in the expiry. Any unused data will expire on the expiry date of primary plan. In bundle data usage is rounded up and charged in 20KB increments. Once the data allowance of a bundle has been fully used, additional data usage will be charged at standard rate. Lycamobile reserves the right to replace or amend the offer or these Terms & Conditions or to withdraw the offer at any time on reasonable notice. The offer is for non-commercial, private, personal use only. The offer is valid from 01/11/2017.